2012 Donor Profiles - IEEE Foundation, Inc.
IEEE Life Fellow IEEE membership has been a big part of Dr. G. Clifford Carter's life. Cliff enjoys the benefits of keeping up with developments in his field of signal processing and network of diverse subject-matter experts. According to Cliff, IEEE membership has been a life-long career benefit. "When things were challenging in my job, IEEE kept me motivated and energized," he says. Cliff retired in 2009 from the Naval Undersea Warfare Center Division Newport, R.I., as a senior technologist for acoustic signal processing. There he developed and implemented innovative technology for the future of undersea warfare. Cliff has volunteered his time and talent to IEEE. He served on the organizing committee for several IEEE workshops and conferences, and authored an IEEE press book of collected works. He also co-chaired the Signal Processing Working Group comprised of IEEE members who worked to develop innovative processing improvements for underwater systems. Volunteering with IEEE members left fond memories of working with an outstanding group of extremely talented international technical experts. 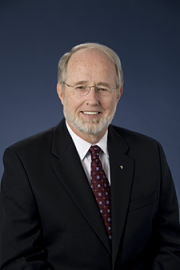 In 2006, Cliff received the IEEE-USA Henry Diamond Memorial Award plaque, and in 2012, he received the IEEE Jack S. Kilby Award. The honorarium he received, he donated: part to the IEEE Awards Program and part to the IEEE Foundation General Fund. Why these two funds? Cliff believes the IEEE Awards Program is an important way to encourage engineering excellence, and that the IEEE Foundation is the philanthropic mechanism that supports IEEE's core purpose to foster technological innovation and excellence for the benefit of humanity. Cliff said, "I believe there is a time in everyone's career where they are obliged to give back to the organizations that helped them be successful; IEEE and the IEEE Foundation are such organizations. I have been fortunate in my life and the timing was right to give back something additional to IEEE." IEEE Member Associate Professor Jonathan Coopersmith of Texas A&M University is not your typical IEEE member; he is a history professor. While a graduate student in history of science and technology at Oxford University, he became aware of IEEE Spectrum and its coverage of technology past, present, and future. He joined IEEE for the subscription. This made him aware of the IEEE Life Member Fellowship in Electrical History, a postdoctoral year in the MIT Science, Technology & Society Program, which he applied for and received. The Fellowship is awarded by the IEEE History Committee, administered by the IEEE History Center, and funded by the IEEE Foundation's Life Members Fund. The prize introduced him to IEEE's central historical activities. During his academic career, Jonathan dedicated both time and generous donations to the IEEE Foundation's IEEE History Center Fund. His involvement included stints on the IEEE History Committee in, as he puts it, "two different centuries," and he served as Historian for IEEE Region 5. He has fond memories of representing IEEE in Japan at two IEEE Milestone dedications. His philanthropic support of the IEEE History Center is also notable. "There is nothing like the IEEE History Center in the field of the history of technology--its efforts to preserve and publicize electrical engineering history distinguish IEEE from other branches of engineering," Jonathan said. The program of most interest to him is the IEEE Global History Network: "The GHN is an exciting, ongoing and growing experiment for reaching out to engineers and a broader public," he says. To his fellow members, engineers, and non-engineers alike, he says, "Even though preserving history is less expensive than actual engineering, it still takes resources to accomplish." He urges his fellow members to join him in supporting the IEEE History Center. IEEE Life Fellow When Gordon Day joined IEEE as a student, his motivation was clear. "I wanted to have a library of publications in my field and IEEE membership was the affordable way to do that," he said. Over time, he became a volunteer: a reviewer, an editor, a conference organizer, a member of committees and boards. He realized that he was gaining skills and learning information that he could take to his job. "My best memories are of the people I've met: dedicated engineering professionals whose creativity have dramatically changed the world, students who are determined to do the same, and leaders of governments, companies, and professional societies who understand technology and are determined to spread its benefits," Gordon said. "Today, being a part of IEEE means that I have the opportunity to help build a stronger organization, and to help it pursue a mission I strongly believe in. And I do that in a community of colleagues and friends," he added. Gordon also helps strengthen the organization through his commitment as a donor to the IEEE Foundation. He has donated to the General Fund, IEEE USA Fund, and the Life Members Fund of the IEEE Foundation annually while renewing his IEEE membership. He recently donated the speaker fee he received for his keynote address at The Zhongguancun Forum annual meeting themed "Technological Innovation and International Cooperation" held in Beijing, China. "There are two issues that the IEEE Foundation can help to address. One is the extension of technology to parts of the world that have not yet gained its benefits. The other is to advance engineering education, because the future prosperity of every country depends on its capacity to innovate, and innovation requires a talented, well educated, and empowered workforce," Gordon said. 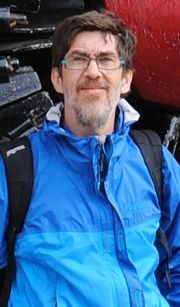 IEEE Fellow Originally from Toronto, Canada, John holds a BSEE from Queen's University and a MBA from the University of Chicago. 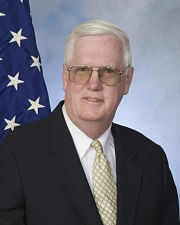 John served for 13 years on the IEEE PES Governing Board and two years as Director of IEEE. 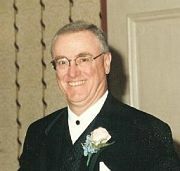 John dedicated a lifetime of service to S&C Electric Company. He joined S&C Electric Company in Toronto in 1972 and moved to the Chicago, Illinois, USA headquarters later that year, wherein he filled numerous responsible positions in the company's R&D and Marketing operations. 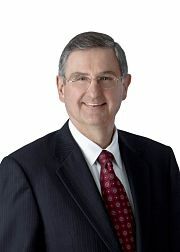 In 1988, he was elected President and Chief Operating Officer, and became the third CEO in S&C Electric Company's history in 1997. Unbeknownst to John, Stan Slabas and Wanda Reder, colleagues at S&C, decided to honor John's 40th anniversary with the company. Stan and Wanda worked with the S&C Foundation Board, as part of S&C's Centennial celebration, to name a scholarship after John. S&C Foundation's contribution of $1 million to the IEEE Foundation and the IEEE PES Scholarship Plus Initiative was announced as a surprise during S&C's Centennial celebration in September 2011. S&C's full gift is earmarked for the IEEE PES John W. Estey Outstanding Scholar Award in the amount of $5,000 to the top performing student in each IEEE-designated region within the United States, into perpetuity. "I was blown away and very honored," stated John, which compelled him to donate personally. "Since I am from Canada, the IEEE Foundation and I agreed on an amount that would allow the John W. Estey Outstanding Scholarship to extend to a student from Region 7 (Canada) and I was pleased to contribute to the Foundation for that purpose." 2012 marked the first year of recipients of the John W. Estey Outstanding Scholarship, which awarded six scholarships across the United States. Roll out into Canada began in 2013. IEEE Life Fellow Thomas F. Garrity (Tom) joined IEEE in 1972 to access technical publications, notably the electric power Transaction papers. Interaction with engineering professionals worldwide has been the ultimate reward for his membership, according to Tom, but his fondest memory was being elected an IEEE Fellow. "This recognition by my peers and endorsement by the IEEE Board represents one personal high that I will never forget," Tom said. Many IEEE committees and working groups have benefited from Tom's service. He was a member of the PES Board and served on the IEEE Foundation Board from 1995 until 2001. "At my first Foundation Board meeting, I was impressed with the organizational horsepower present. There was a prestigious group of industry icons whose reputations as industry leaders were unprecedented. Membership on the Foundation Board opened my eyes to the work of the Foundation," Tom said. The education, history, and diversity programs of the Foundation command Tom's attention. "Funding from the Foundation is the catalyst for many worthwhile endeavors," he said. "The Foundation provides the organizational framework to address growing and changing needs, and offers our collective membership the opportunity to be leaders in our profession," Tom added. "The IEEE PES Scholarship Plus Initiative is an example of a genuine need that is being met through industry and individual contributions. Absent such contributions, many worthy programs would go by the wayside." Tom said, "When PES launched the Initiative, I saw an opportunity to volunteer my time, and financially support the critical scholarship program." Tom expressed that member contributions are critically important to the ongoing support and growth of the profession. 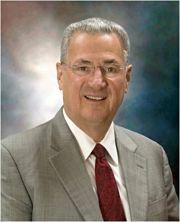 He said, "The work of the Foundation is pivotal to the sustenance of programs and growth of the electrical profession. Any contribution of any amount enhances our professional image and philanthropy." 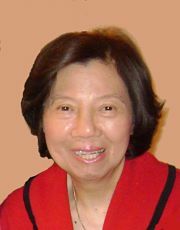 IEEE Senior Member Bichlien Hoang is an IEEE member, staff member, and donor. Serving as the senior program director in IEEE Technical Activities' Future Directions department, she seeks out new and existing technologies for integration into IEEE's intellectual property. But she has also spent a lifetime in the business of building a brighter future. Bichlien firmly believes in IEEE's core purpose of Advancing Technology for Humanity. "Supporting the IEEE Foundation as an IEEE staff member is another way of expressing support for the IEEE core purpose, which I firmly believe in," she said. "IEEE Foundation provides the means to achieve that purpose by enabling worldwide efforts to materialize," Bichlien added. The IEEE Humanitarian Technology Fund and the IEEE Foundation General Fund are most appealing to Bichlien. "Coming to the USA as an immigrant and a 'boat person' from Vietnam, I am particularly sensitive to those that have suffered loss as the result of wars or national disasters and are in dire need of technology-based resources to rebuild," she said. She also donates to the IEEE Foundation General Fund to allow it to support projects that further the scientific and educational purpose of IEEE. "As a former teacher in Vietnam, education is very important to me, and I know my donations benefit educational programs," Bichlien said. "Giving back to the community is one of my priorities," said Bichlien. She added, "Each year, the grants provided by the Foundation have allowed projects in different regions and countries, with different focus and purpose, and different target populations to come to fruition. Donating to the IEEE Foundation helps me give back to a much larger community, thanks to the worldwide reach of the Foundation. We can all do our part to make this world better by giving back." Dr. Eric Honea, IEEE Senior Member, and Dr. K. Kendall Guthrie Dr. Eric Honea and his wife Dr. K. Kendall Guthrie both support the IEEE Foundation. Eric donates primarily to the IEEE Humanitarian Technology Fund and Kendall through her employer's matching gift program. By having Eric's donations matched by Kendall's employer, the Bill and Melinda Gates Foundation, their support for the IEEE Foundation has been tripled. Eric has been a member of IEEE and the IEEE Photonics Society (and its predecessor, the Laser and Electro-Optics Society) for more than 15 years. He continues appreciating the benefits of the organization, including its publications and conferences. An employee at Lockheed Martin Laser and Sensor Systems, Eric follows trends in the field, especially those relevant to his work in photonics technology. "Learning about the IEEE Foundation through the annual appeals to IEEE members, we are pleased to support the IEEE Foundation's philanthropic efforts. Through the generous matching program of my wife's employer, the Bill and Melinda Gates Foundation, we have been able to multiply our contribution to the IEEE Foundation," Eric shared. Kendall added, "My employer encourages employees to support their own passions. They match any charitable gift our family makes 3:1. That makes it fun to give because we know our donations draw out even more money for our favorite causes." Kendall, a social scientist, appreciates that "the IEEE Foundation supports humanitarian projects focused on technology, education and their applications in developing nations. We have two teenage daughters and are especially keen on improving science education in the elementary and middle schools. That's where people first develop their love of science," she said. Eric and Kendall added, "If IEEE members have spouses that work for larger organizations, they should see if they can qualify for matching funds as well." 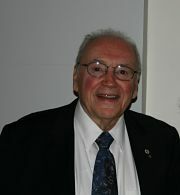 IEEE Life Member James C. Klouda, (Jim) founded Elite Electronic Engineering Inc., in 1954. During his lifetime, while serving as President of his company, Jim maintained his membership in IEEE and the IEEE Electromagnetic Compatibility Society (EMC). According to his son, IEEE Member Raymond Klouda (Ray), "dad greatly valued the IEEE because it encompasses the essence of the electrical profession. My father thought that the best engineers are life-long learners and IEEE provides ample opportunities to continue to grow as an electrical engineer." Jim's company grew and maintains a leadership presence in the field of Electromagnetic Compatibility testing. "Dad was actively involved in the EMC Society at the local level and was a regular attendee to the IEEE EMC International Symposia. I think that he truly enjoyed and looked forward to attending the symposia. The symposia combined two of his favorite things; simply attending and to meet with other engineers in his industry to share knowledge and experiences," Ray said. When Jim passed away in 2012, Ray worked with EMC to establish the IEEE James C. Klouda Memorial Scholarship Award. "My father was a strong advocate for education, so we wanted to honor him with a scholarship award in his memory," said Ray. Ray worked with the IEEE Foundation to establish a dedicated Award Fund and 'seeded' the Fund with a corporate gift from Elite Electronic Engineering, Inc. The undergraduate-level scholarship, awarded annually, was established to recognize Jim's professional career in the field of electromagnetic compatibility. According to Ray, "the Klouda family, employees of Elite Electronic Engineering, Inc., and friends of Jim hope that the scholarship will provide encouragement and support for young people that have a passion for electrical engineering. By emphasizing EMC, we hope to entice these engineering students to specialize in the EMC profession." IEEE Life Fellow Prof. Victor B. Lawrence is Director of the Center for Intelligent Networked Systems, and Associate Dean and Charles Batchler Chair Professor of Engineering at the Stevens Institute of Technology, NJ, USA. He worked in the information technology and communications R&D field for more than 30 years at AT&T, Lucent Technologies and Bell Laboratories. Victor joined IEEE to develop his career, network and learn from other's research. "Joining IEEE meant staying connected with the technical community, staying up-to-date with advances in the field through IEEE publications, events, and conferences," he said. Victor finds being a member of such a large and reputable organization very appealing. He has served as Chair of the IEEE Awards Board, Editor-in-Chief of IEEE Transactions on Communications, and served on the IEEE Communications Society Board of Governors. An IEEE Foundation Board Member since 2011, Victor is most interested in the Foundation's outreach programs into developing and emerging countries. "Work in this area can move billions of people from poverty and improve their life." 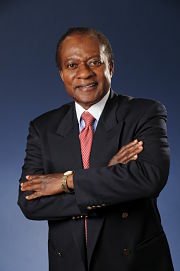 Victor is a key proponent of R&D globalization and is championing the effort to bring fiber optic connectivity to Africa. Victor says that he donates to IEEE Foundation programs because of the very efficient way the programs are chosen and implemented. "The Foundation has unique philanthropic services, humanitarian initiatives, and history programs that are of great interest to the IEEE community. The Foundation is the Innovation Engine of the IEEE," he said. It is important for all IEEE Members to support the IEEE Foundation, Victor feels, saying, "Members' support helps to shape the scope and activities of the Foundation and creates opportunity to make an impact on the future of the IEEE." 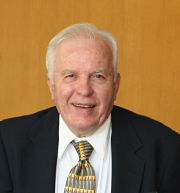 IEEE Fellow John D. McDonald joined IEEE and the Power and Energy Society (PES) in 1971 as a Purdue University student and has been involved since. John earned his BSEE and MSEE degrees and began working in industry. He served on the IEEE PES Governing Board for 12 years, holding elected positions as Secretary and President. John has served on the IEEE Board of Directors as IEEE Division VII Director and was elected to the IEEE-Standards Association Board of Governors. "IEEE and PES have given me opportunities for increasing my technical knowledge and experience, networking, leadership, and public speaking," stated John. John's fondest memory of IEEE membership is receiving the IEEE PES Excellence in Power Distribution Engineering Award where his family was present at the Awards Luncheon. "Sharing this experience with my family was very special for me," he said. Since 2008, John has worked with GE Energy Management, Digital Energy in Atlanta, GA, USA, and serves as Director of Technical Strategy & Policy Development. Throughout his 38 years in the electric utility industry, John has pursued his passion for encouraging young people to become involved in power engineering. In 2011, John volunteered to participate in the scholar selection process of the IEEE PES Scholarship Plus Initiative, wherein he evaluated and scored 26 applications in 2011 and 77 applications in 2012. "I believed so strongly in this Initiative that I committed to personally donate, and 100% of my donations are matched by my employer, GE and the GE Foundation. In fact, the GE Foundation matches 100% of each employee's contributions to qualified organizations up to $50,000 per year per employee," he was very proud to share. "We need to do everything we can to persuade EE students to specialize in power engineering!" concluded John. IEEE Senior Member Although her husband's Spectrum and Transactions publications came into their house for years, it was the social aspect of the IEEE which eventually caused Sharon Phillips to join. Sharon was attracted to an institution which would be with her through job changes and retirement. "Since I've been a member, I've lost both my father and my husband who were also members. IEEE keeps me surrounded by engineers fascinated by how the physical world works. That reminds me of being with those engineers that I have lost," she said. Sharon added, "I have fond memories of driving home from Section Executive Committee meetings with my husband and discussing how glad we were to have participated." 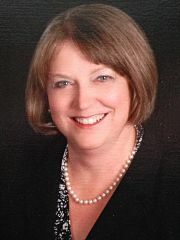 Sharon became an engaged volunteer and progressed through the planned succession of the IEEE Chicago Section Executive Board after her elevation to Senior Member. She held the offices of Secretary, Treasurer, Vice Chair, and now she is Section Chair. "It is unlike anything I have experienced in my career. I can speak with authority about the compromises one makes within an organization to keep the group moving forward," says Sharon. Sharon first considered donating to the IEEE Foundation General Fund during a meeting with a Foundation director. Sharon shared, "We were discussing a Chicago Section project, Science Kits for Libraries, sponsored by the Fund. The project had grown and been granted Foundation dollars to grow further. As the director interacted with our Section volunteer, John Zulaski, I saw that Foundation funds aren't given away freely. The directors take care to oversee recipient programs and donors' input is given careful attention." Sharon knew that donor dollars were being well spent. She said, "Spending money is easy. Spending money well is not easy. When engineers contribute to engineering programs, accountability will naturally be high." 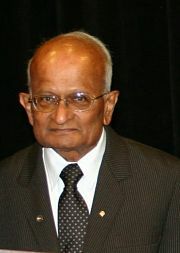 IEEE Life Fellow Ramachandra G. Ramakumar (Rama) joined IEEE in 1962 after receiving his Ph.D. in Electrical Engineering from Cornell University, Ithaca, NY, USA and has maintained his membership ever since. "Joining IEEE was important for my professional career as an educator which started in 1957 at Coimbatore institute of Technology, Coimbatore, India (University of Madras)." Rama held many leadership roles and chaired numerous technical paper sessions and panel sessions on topics related to renewable energy. Rama joined the College of Engineering, Agriculture, and Technology faculty at Oklahoma State University, Stillwater, OK, USA in 1967 and for 45 years he has been involved in renewable energy work, and nurturing the advancement of this technology. "Recently things have turned around considerably with utility-scale penetration of wind, photovoltaic, and other technologies. When an opportunity arose, I felt it was important to recognize and encourage activities in renewable energy with a suitable IEEE Society-level award for contributions and excellence," said Rama. Rama is recognized in the IEEE Heritage Circle - Alexander Graham Bell level for his contribution to the IEEE Power & Energy Society Ramakumar Family Renewable Energy Excellence Award Fund. Rama said, "My wife Gokula, son Sanjay, and daughter Malini played vital roles in enabling me to achieve my modest professional accomplishments and, as such, I named the award for my family." Establishing this award fund is Rama's legacy gift to IEEE and IEEE Foundation. "The award will recognize outstanding contributions in the field of developing, utilizing, and integrating renewable energy resources in the national and global energy scenarios," Rama said. He added, "As the world transitions to increasing use of energy technologies that have minimal carbon footprint, IEEE Power and Energy Society should play a leading role to enable this transition. Encouraging activity towards this goal is the primary objective of this award." Dr. Edmund O. Schweitzer, III (Ed) is a pioneer in digital protection. In 2002, he was elected a member of the National Academy of Engineering, and in 2012, was awarded the IEEE Medal in Power Engineering for his leadership in revolutionizing the performance of electrical power systems with computer-based protection and control equipment. Ed is the recipient of the Graduate Alumni Achievement Award from Washington State University and the Purdue University Outstanding Electrical and Computer Engineer Award. He was awarded two honorary doctorates, and has served on the faculties of Ohio University and Washington State University. He has written dozens of technical papers and holds more than 35 U.S. patents pertaining to electric power system protection, metering, monitoring, and control. In 1982, he founded Schweitzer Engineering Laboratories, Inc. (SEL), headquartered in Pullman, Washington, USA, to develop and manufacture digital protective relays, related products, and services. Today, SEL serves the electric power industry worldwide. In 2012, Ed became a unique multi-type donor to the IEEE Foundation's PES Scholarship in the amount of $1.1 million. Whereas the Schweitzers designated their personal gift locally, SEL's $1 million gift is national in scope to help build the technical workforce of the energy future within the US. "SEL, my wife Beatriz, and I believe it is important to support programs that encourage students to explore the power engineering field. These students will make future contributions to the industry and we are so happy to be a part of that," Ed stated proudly. "SEL is committed to providing opportunities for research and development of new innovations to assist the industries we serve. The PES Scholarship assists students who will be the electrical engineers of tomorrow," stated Ed. "Innovation is what drives us and we are excited to see what these students will create!" IEEE Life Fellow Dr. Arthur W. Winston, an IEEE member since 1955, valued his membership for the technical material and meetings which helped with his work. At the age of 29, he was asked to chair a major IEEE exposition with lectures and exhibits, which introduced him to many IEEE activities. He has been involved ever since. Arthur is compelled to participate in IEEE activities for many reasons: working in an area that interests him, the feeling of making a contribution, and meeting and interacting with interesting people world-wide. "IEEE affords an opportunity to keep current with technical and social interests. My membership has kept me mentally and spiritually active, vital and young," Arthur said. Arthur became aware of the Foundation when he joined the IEEE Board of Directors. He was elected IEEE President in 2004 and then served 7 years on the IEEE Foundation Board until 2012. He served as Vice President of Development, 1st Vice President, Chair of the Nominating and Corporate Governance Committee, liaison Representative to the IEEE Life Members Committee, and on the Finance Committee through the years. "The Foundation meets the social imperatives that IEEE alone does not. I favor Foundation sponsored educational programs that are scalable and far-reaching since I believe that education is a passport for life," Arthur said. A loyal, annual donor, Arthur found another way to support the IEEE Foundation that suits his current stage of life. He is now Forever Generous and a valuable member of the IEEE Goldsmith Legacy League. "I believe that the Foundation's work should be supported," Arthur says. "As someone who has recently retired, cash flow becomes an issue to be considered. So my wife, Lily, and I decided the best way for us to contribute is to include IEEE Foundation in our trust."